The pink Textured Neoprene Sleeve for All iPads from XUMA is a thick, shock-absorbing cover that protects your iPad from the unavoidable, everyday contact it may be exposed to. 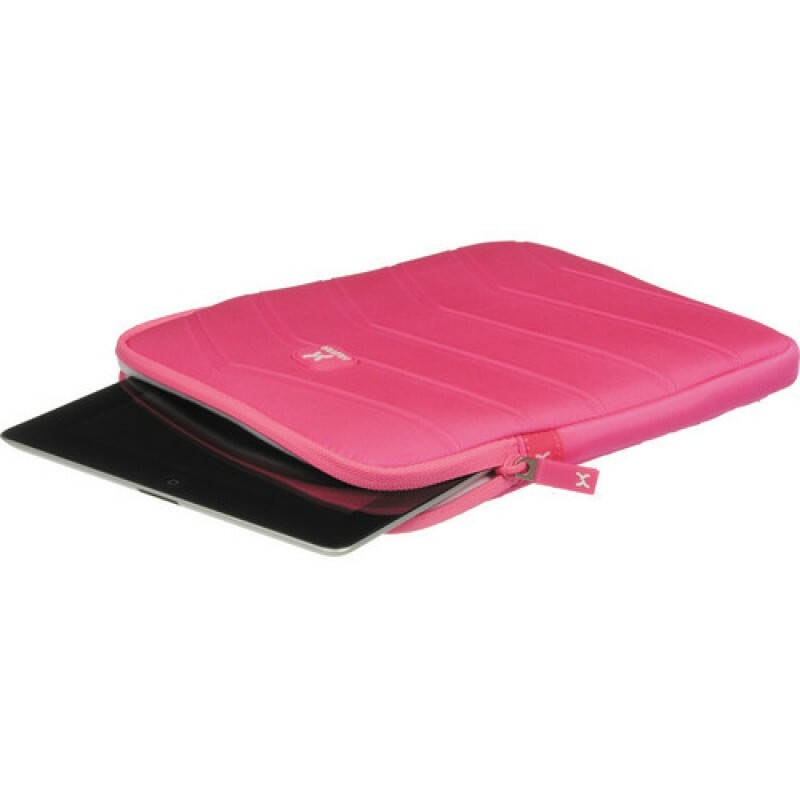 Complementing the stylish wave patterned, matte finished exterior neoprene is a soft interior that is especially favorable to the fine surface of the iPad protecting it from scratches. The sleeve is accessed by two zippers with pull tabs, both of which are easy to use when you're wearing gloves. 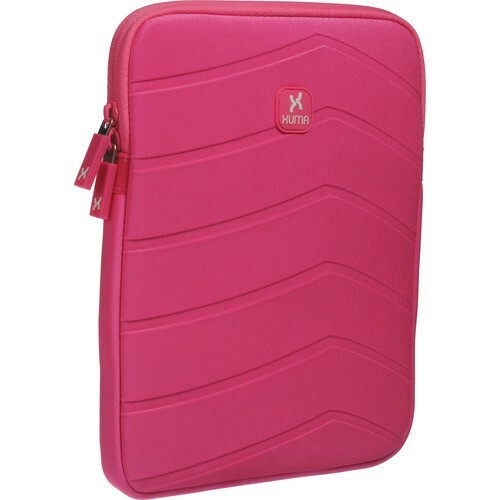 The overall footprint of the sleeve is thin and lightweight and will not add much weight to your iPad but will provide you with an added measure of protection. Sized to fit most tablets, this affordable sleeve is a viable alternative to more expensive sleeves that may provide less protection. This sleeve is backed by a one-year warranty from XUMA.